Mallya’s claim of meeting the Finance Minister before fleeing triggered a controversy in India. Arun Jaitley rebuffed Mallya’s claim stating that he had “never given him (Mallya) any appointment to meet me” since 2014. 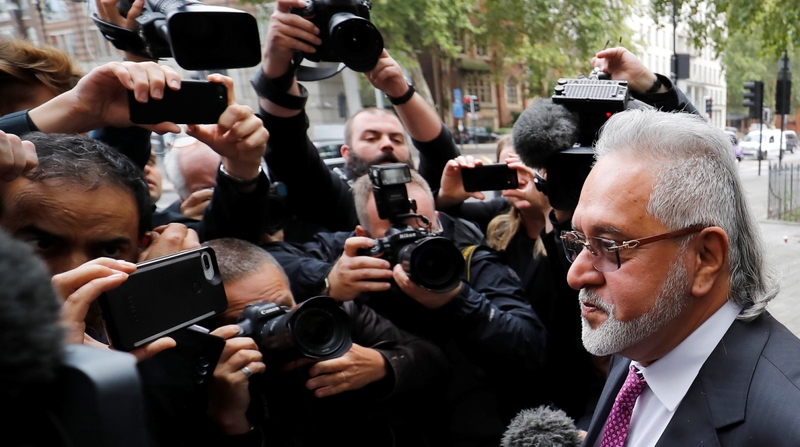 Emerging from Westminster Magistrates’ Court, which will be giving its verdict in his extradition case on 10 December, fugitive bank fraud accused Vijay Mallya said that the controversy over his claim of meeting Finance Minister Arun Jaitley has been “created by the media”. “I was standing here (outside the court) during lunch break. I said I happened to meet Mr Jaitley in Parliament and I told him that I was leaving for London and that I want to settle with the banks and would he please facilitate the discussions. I did not have any formal meetings scheduled with him. I met him often enough in Parliament, in the House and in Central Hall, and I have expressed to him my willingness to settle (the dues) on many an occasion,” he said. “I flew to London when I was on my way to Geneva where I had a long-scheduled meeting…Those were the circumstances under which I left India,” he reiterated. In a statement issued on Wednesday, Jaitley said that Mallya “misused” his position as an MP by paced up to catch up with him when the FM was walking out of the House to go to his room. “He paced up to catch up with me and while walking uttered a sentence that ‘I am making an offer of settlement’. Having been fully briefed about his earlier ‘bluff offers’, without allowing him to proceed with the conversation, I curtly told him ‘there was no point talking to me and he must make offers to his bankers’,” said Jaitley. “I did not even receive the papers that he was holding in his hand. Besides this one sentence exchange where he misused his privilege as a Rajya Sabha Member, in order to further his commercial interest as a bank debtor, there is no question of my having ever given him an appointment to meet me,” the Finance Minister said. But the Opposition parties latched onto Mallya’s claim to accuse the government of allowing fugitives to flee and the loot to happen. “As with the Rafale scam and Choksi scam, this latest revelation by Mallya puts Modi govt in the dock. It is not the finance minister alone, we cannot be sure what other facts are being hidden even now,” said CPI(M) general secretary Sitaram Yechury. “Whatever denials the government may issue, it confirms that all those who looted public money by taking loans from banks and absconded, not one of them happened to leave the country without knowledge of the government,” he was quoted as saying by ANI. “They (the government) have to own up to the fact that they allowed this loot to happen and the fact that they are allowing this loot to happen, more are looting,” Yechury added. Congress leader Abhishek Manu Singhvi said that his party has been repeatedly raising the issue that the government allowed bank fraud accused such as Mallya, Nirav Modi and Mehul Choksi to flee. Delhi Chief Minister Arvind Kejriwal described Mallya’s claim as “absolutely shocking” and demanded to know why the finance minister “hid the information till now”. Meanwhile, Chief Magistrate Emma Arbuthnot of the Westminster Magistrates’ Court reserved the judgment on whether to extradite the multi-crore bank fraud accused to India or not. The court will be giving its verdict on 10 December. Mallya, who fled India in March 2016, reiterated that the allegations made against him are “media created”. Commenting on the case, Mallya said that the prosecution has argued their case and it is now for the judges to decide. According to NDTV, the prosecution said that the 62-year-old has no intention of honouring the guarantees he had given while taking loans for his now defunct Kingfisher Airlines.